For three years I have had a canvas jacket in there that I purchased online from J. Crew Factory at a very deep discount. I don’t recall how deep the discount was, but the shipping and handling probably cost more than the coat. The coat was in a color that sang melodically to me: drab. I thought that this coat would be the perfect spring-weight addition to compliment the rest of my drab-colored spring wardrobe. But, there was a catch: this coat was unlined. Nowhere in the description was it mentioned that this coat lacked lining. I considered returning it but I didn’t want to pay the return-shipping fee for a coat that was essentially a steal. J. Crew Factory purchases cannot be returned to J. Crew stores. The Factory stores are located in East God Knows Where. I otherwise liked the coat and it fit decently. I wore it once or twice, but it never felt quite right without a lining. I like linings. I like socks. I don’t wear shoes without socks. I like that extra layer of fabric between my being and the shoe or the garment. To sound like a demented take on a movie quote linings and sock complete me. 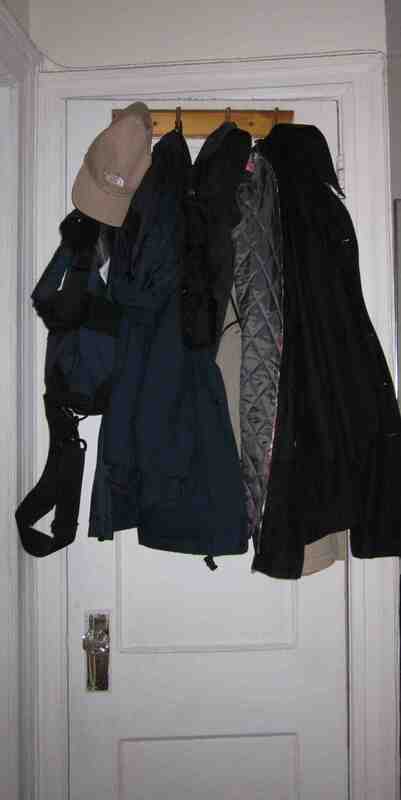 For three years that unlined coat has been exiled behind my closet door. It was a source of reliable irritation on a hanger. This year I am doing a Big Purge, a complete clean out of my apartment. This purge includes unloading all of the clothes I no longer wear. I looked in my closet and saw that unlined jacket. It was on the Big Purge list. I tried it on and it still fit well, even better now that I’ve shed Mini Me — ten and a half pounds of girth, leading to the rediscovery of my waistline. I knew that as long as that jacket would not have a lining, I would never wear it again, but then I had a light bulb. Light bulb: Why not get it lined? 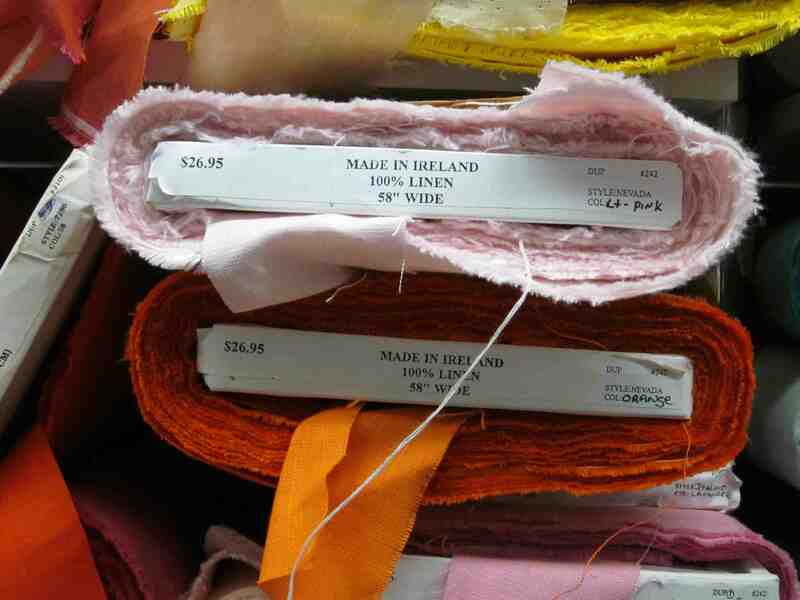 Coco: B&J Fabrics on Seventh Avenue. They have everything. 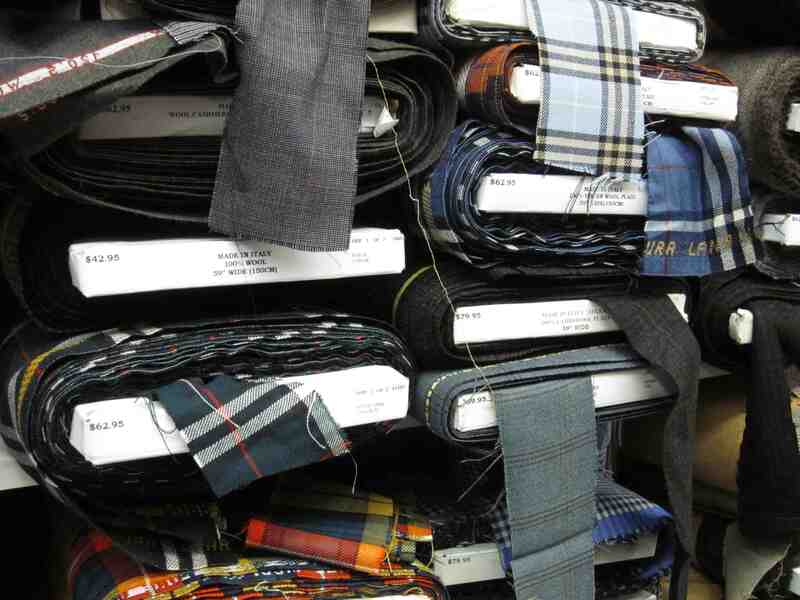 Seventh Avenue runs through the heart of New York’s garment district. The stretch between 34th to 39th Streets is known as Fashion Avenue. 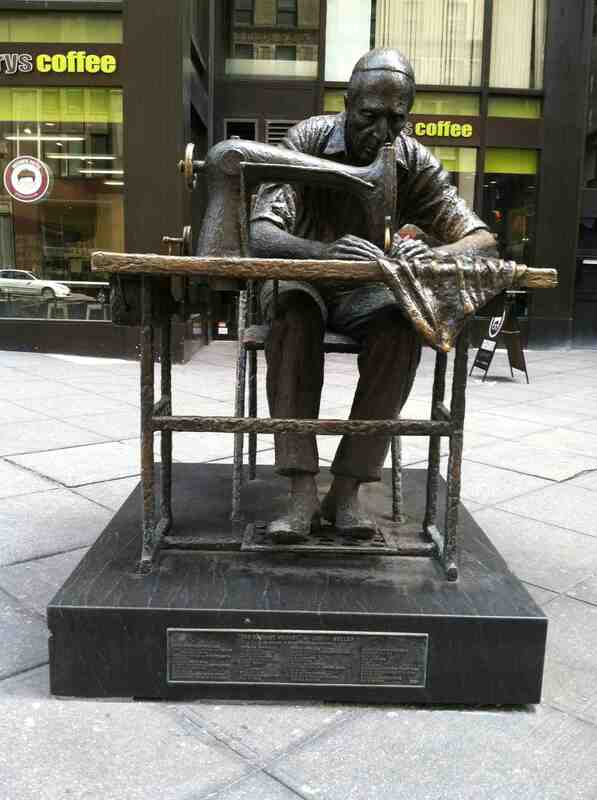 Statue called “The Garment Worker” a worker who would today be found toiling overseas but not wearing a yarmulke. 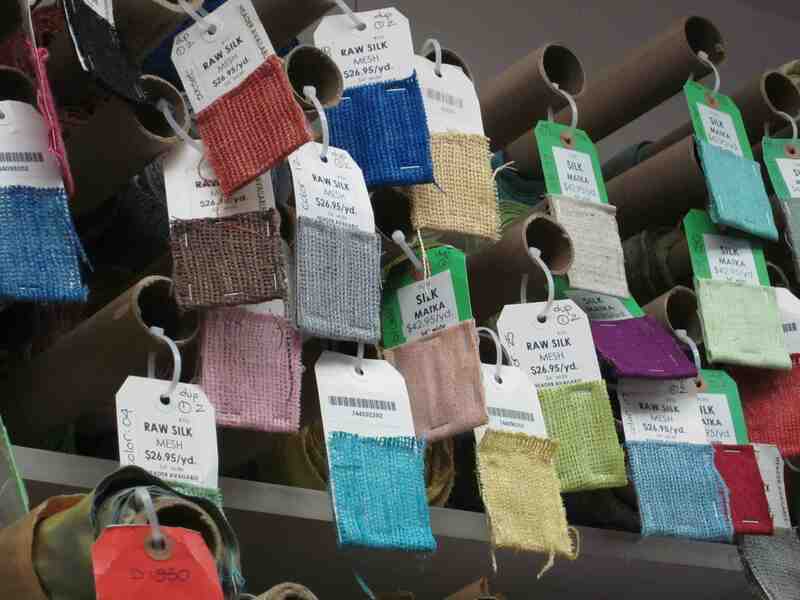 B&J Fabrics is a family run business that’s been around since 1940. It’s located on the second floor at 525 Seventh Avenue. While walking down this storied avenue I observed the Fashion Walk of Fame honoring many of the biggest names in the American fashion industry. 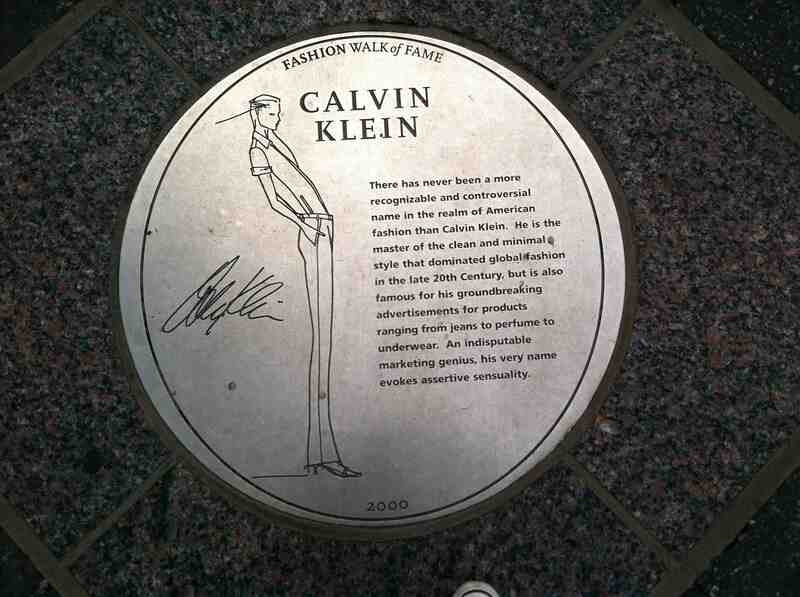 Calvin Klein and the toe of my sneaker. Fortunately, I did not have to search from feathers to brocade to chainmail to find coat lining. All I had to do was ask one of their many helpful and vastly knowledgeable staff members for direction. 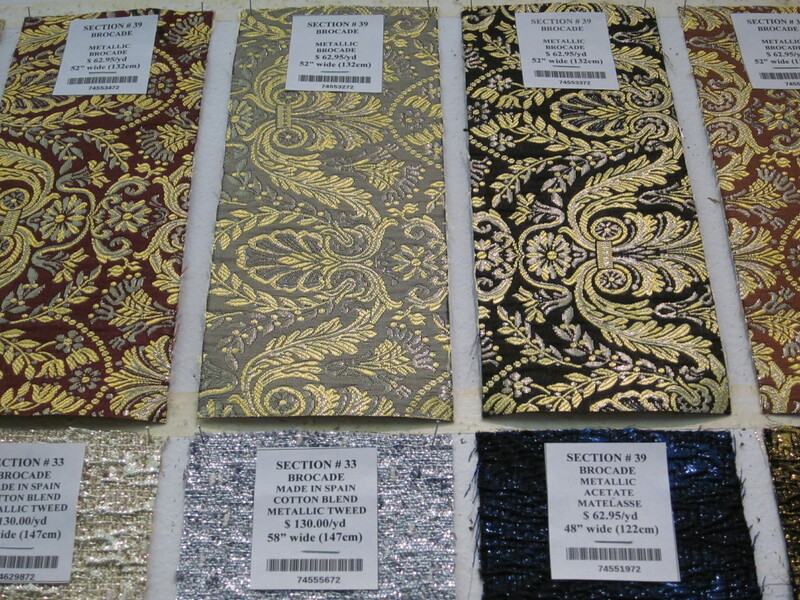 Within ten minutes of entering the premises, I found exactly what I wanted, a silver paisley jacquard. Five minutes later they cut two yards of fabric for my drab colored coat and I was on my way back uptown to the tailor’s. This lining scored such a hit with the tailor, I was called and told I could have a twenty-five percent discount on the job — and it was finished three days early. When I went to pick up my lined coat, the clerk at the tailor’s was thrilled to show it to me. He gushed enthusiastically about the quality of B&J’s lining. I smiled wanly at the combined compliment and insult. Drab colored nothing jacket at rest. If I ever wear this jacket on a date, it is going to take all my power of self-control to resist turning it inside out. Love my lining, love me. This entry was posted in Humor, new york city and tagged family run business, fashion, garment industry, making the best out of a bad situation, new york institution, online shopping, terrible taste. Bookmark the permalink. Quintessential Lame post–with a good measure of NYC Travel and Tourism Board sight seeing highlights and a more than eloquent plug for the fabric company. Have you thought about leaving the world of tile for a career in advertising? Glad to hear you didn’t have to double the cost of the coat for its upgrade. Why do companies not provide a more thorough description of their merchandise in catalogs? And are catalogs different from catalogues? Glad to hear that your regimen is turning out such great results in such a relatively short time. Keep up the great work. Thanks. B&J’s is wonderful and I was compelled to spread the word about them. I totally want to line all of my jackets with paisley now. Or raw silk. Maybe add some feathers and sequins. What a fun, lame adventure! For tactile, visually-inclined types Ginger, B&J’s is packed with billions of bolts of eye candy. I could take pictures for days in there. I’m sure you could — and you could take great ones. What a fun adventure! I’d love to see the inside of that fabric store. Awesome choice, too, V – the paisley rocks. You are stylin’ – and congrats on the weight loss! I didn’t know? Doesn’t that rise to the level of a lame adventure, or not? It was bliss hanging out at B&J’s Jean. The pictures I posted are only a glimpse of the extensive inventory. I prefer visiting B&J’s to the Empire State Building. As for my weight loss, that indeed was a post! Check out Lame Adventure 409. Bummer that I missed that post! I just read it and loved it. Good on you, girl. You’re my inspiration! At least on the inside, R! 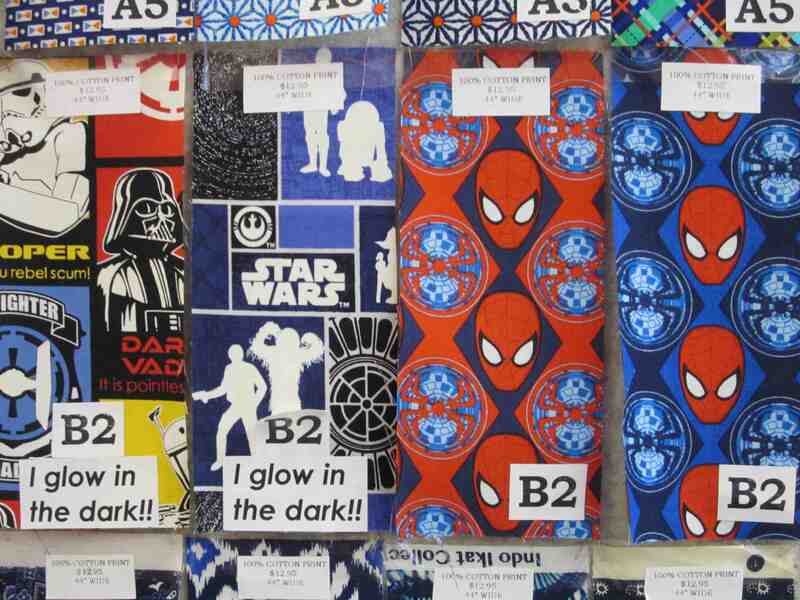 Oh, I love fabric stores, V! And aside from JoAnn’s here in the hinterlands, I thought they were becoming extinct. When I was in high school and college, I made all my clothes and still love wonderful, natural fabrics. What a great subject for a post. Also, I think you included more exclamation points in this post than at any other time since I’ve been reading your blog. Understandably so, I’d be running around that store doing the same thing – Linen! Silk! Brocade!, etc. Very cool that you impressed the tailor. Paisleys are still, in my humble opinion, tres chic! Cathy, I loved fabric stores when I was a kid, but my anemic sewing skills are limited to sewing a button back on a coat and possibly my shirt in the process. B&J’s was the first time I set foot in a fabric store in decades and I must say, it’s like a cathedral of phenomenal inventory — nothing like Warp & Woof at the mall where my mom used to get her fabrics back in the day. 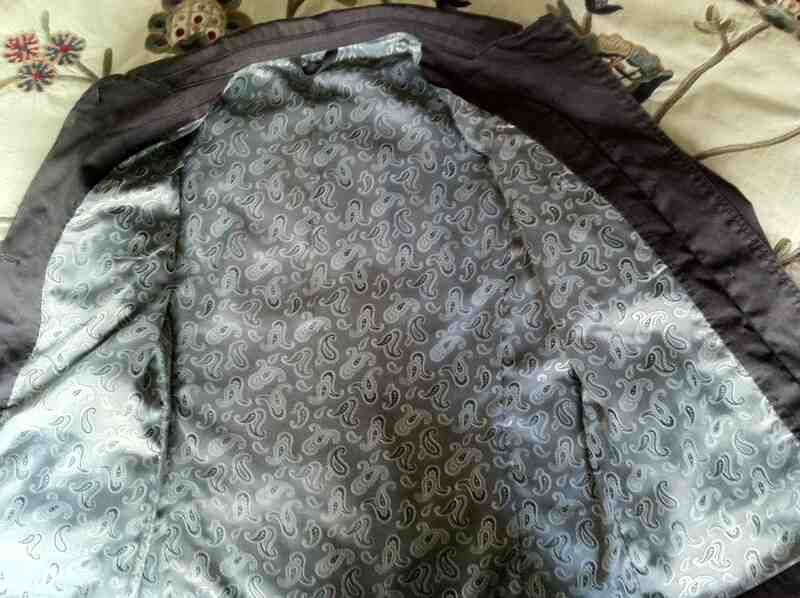 I was hoping to find a paisley print lining, and this one really breathes life into drab. 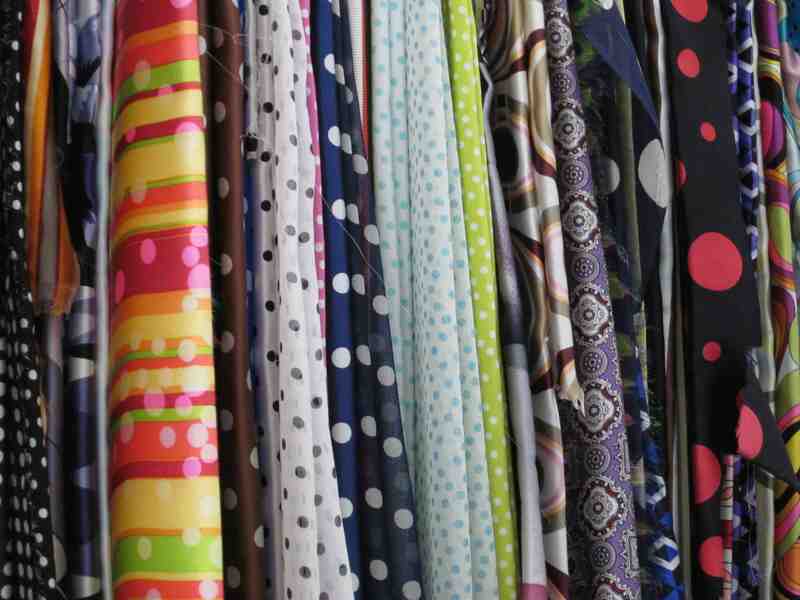 I cannot sew but I think I would love looking at the fabrics at that store. Amazing selections. I would have never thought of going to a fabric store then a tailor. Smoking good idea. Jacket came out amazing– I bet they took pics of their handywork. You got a good deal.. nice! Hey Audra, it took three years for this Lame Adventure to occur to me. B&J’s is just a New York City treasure. The A-list tailor charged me $50 less to do it than my usual go-to tailor, Crummy Tailors. I’m sticking with A-list from here on out. We were indeed “taking” about coat linings! I thought that comment of yours was uncanny, Susie, and wondered if you were telepathic. Making it reversible would be hilarious! That has a much nicer ring than Fashion Doofus. I’m a bit unsettled that you didn’t go for the chainmail. When I look into getting armor lined, I assure you that I will make sure to get my chainmail lining from B&J’s. I am very impressed that you did this; I tend to just donate things.. it never occurred to me that I could fix something to make me like it again. However, we have no B&J equivalent.. although I don’t sew, I think I would very much enjoy just looking at all the possibilities. 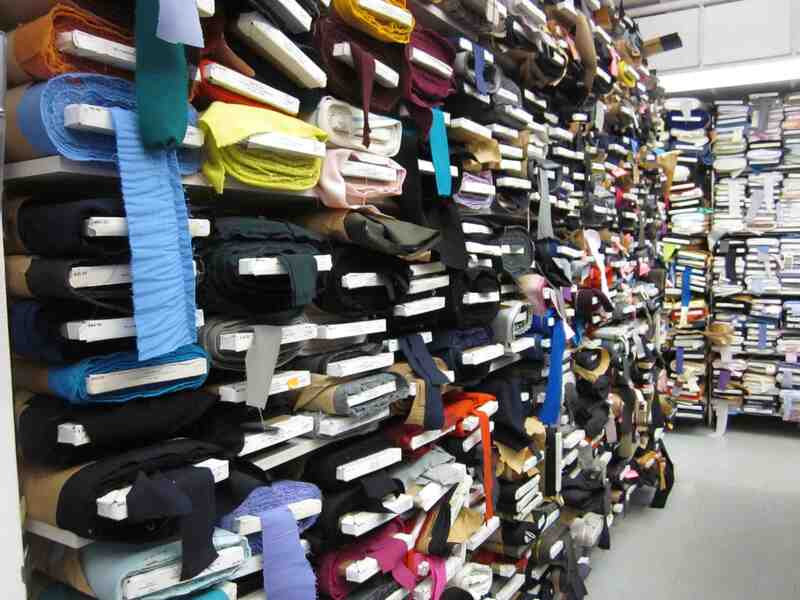 It was like being in the candy store of fabrics. The selection goes on for miles. I would like to say that I hung onto that coat for three years anticipating a brainstorm like this, Jen, but in reality, I kept it because it was not yet Big Purge time. You could tell me that you had amazing plans for it all along and I would believe you. Everyone has procrastination genius at some point. “Procrastination genius”. Love that one, Jen! Ooh, fancy! How industrious of you. 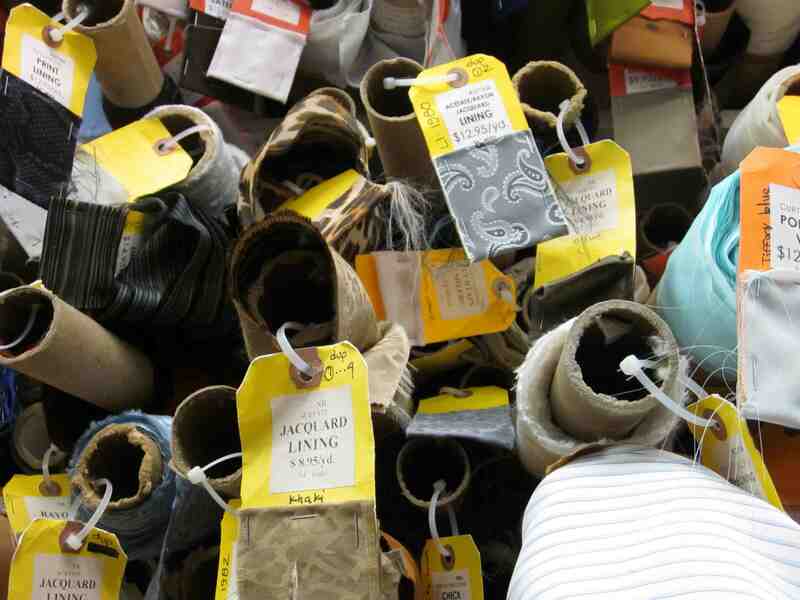 I’ve been to B&J Fabric once or twice and found it to be a bit overwhelming — especially if you’re a fabric novice like me — but what a cool place. I just want to touch everything. Since I was visiting with a purpose Jackie, I could focus, but you’re so right, it is overwhelming when you enter. But the staff is so helpful, I was not standing around like a stumblebum for long. Okay – have added B&J to my “must visit in New York list” so thanks for that. 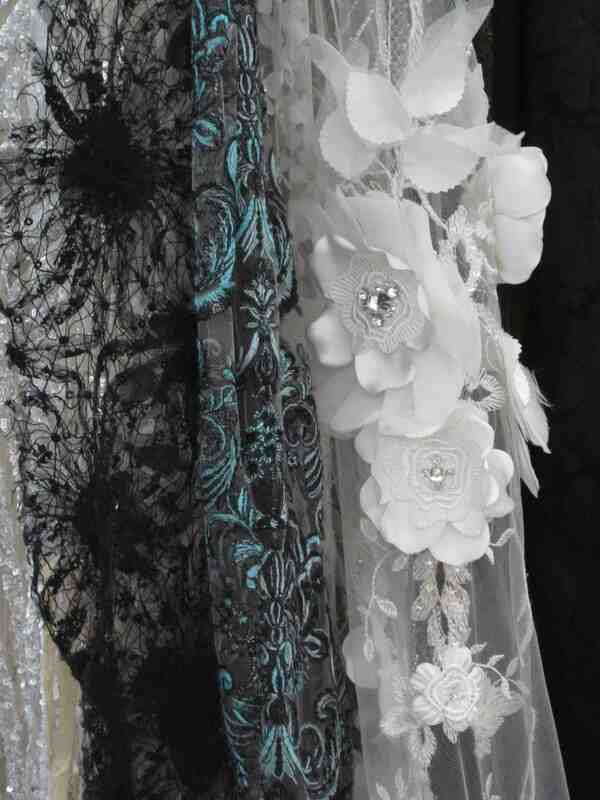 Good thing I didn’t go with you to pick out lining or I’d still be there oohing and awing and going insane. Big fabric stores do that to me. You made a great choice and terrific that you were able to save your steal of a deal jacket. I do, however, think that the chainmail would have added a certain “je ne sais quoi” to your jacket – as well as a good deal of weight. Speaking of weight, great work! I lost some weight a couple of years ago but unfortunately I found it again. Indeed, I thought of you Terri as I was writing this post. You would positively find your bliss in B&J’s, I guarantee it. I will say this about the chainmail: the color does go well with my jacket, but this time I was hoping to find something in a paisley print. I hope my weight loss stays lost! You are coolness to even think of this and it looks great, V. It’s like a brand new coat! I’d say it’s definitely date wear. Brig, I got very lucky when I found that liner fabric, but if it wasn’t in my jacket, I’d sure wish it was. Thanks! That’s a wonderful story! What a good idea to have it lined. Although…I think you would have had a unique jacket with a feathered lining sticking out at your neck and sleeves and waist. 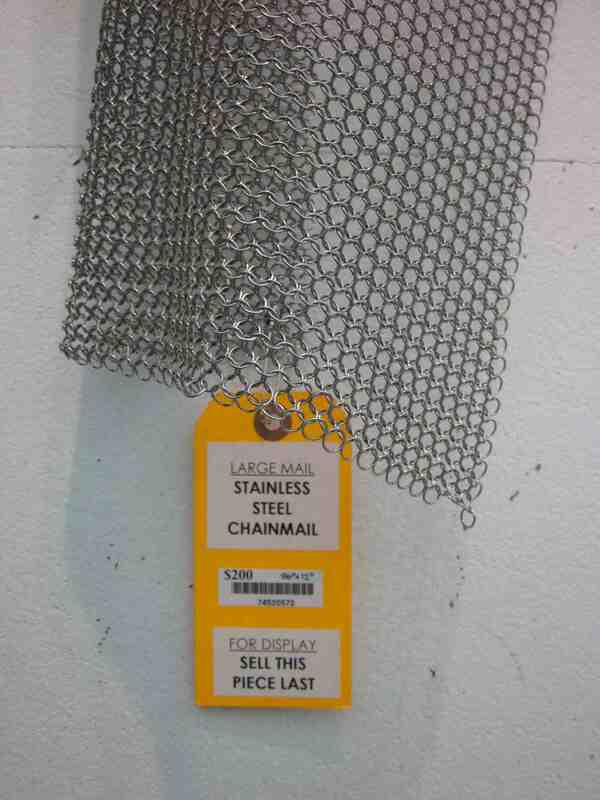 My second choice was chain-maille. Now that spring is slowly approaching Jim, I’m looking forward to getting away from feathers, or at least down-filled jackets. I suspected that the chain mail would score a hint with Lame Adventures readers. I need to go through my closet and get rid of half or more. I still have a couple of suits (yes, navy with pin-stripes, and basic brown) from when I had a “career.” And a bunch of other stuff that doesn’t fit me, either because of physical fit (weight loss and shape change) or because my life and tastes have changed. And as I noted to someone else the other day, I have that pretty silk blouse that I wore 2 years ago the day I had my first panic attack. Oh such wonderful memories attached to that one… And then I need to rebuild the wardrobe, buying just a few things I actually love. Of course the real challenge with that is I don’t enjoy shopping very much. And here in Iowa you really gotta be tenacious if you want to buy stuff you love. Melanie for years I’ve been buying most of my clothes online, which is a blessing and a curse. I love shopping via computer, but not seeing a piece of attire in person can have drawbacks, or in my jacket’s case, no lining. Thank you Jenni. In general, I just buy clothes, wear them, wear them out and throw them out. 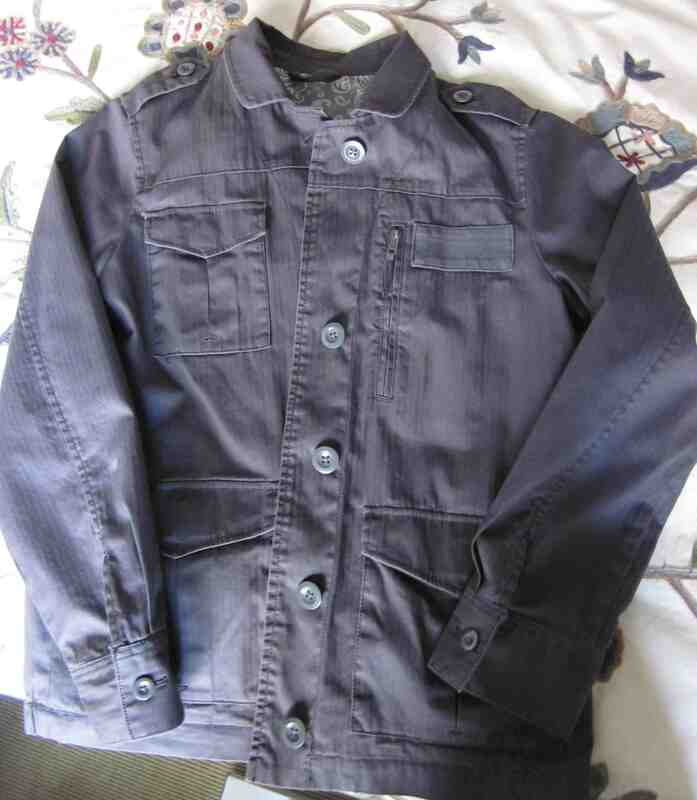 But there are always a few hardly worn pieces like that jacket that presents a challenge. I didn’t want to dtich it, but I wasn’t wearing it. My only regret was not hitting on this solution three years earlier. In a couple of coats I’ve loved I’ve had lining replaced rather than give them up. It’s worth it. Lining is definitely one of life’s simple pleasures Rebecca. Along with socks. I love these little revelations, like discovering the simple solution of getting your coat lined. And this was some good information for me to store away for future reference. I love those kinds of revelations, too, Sandee. I just wish it didn’t take me three years to have mine. B&J’s is very cool. I think you’d enjoy going there. It’s an excellent source for what seems to be every imaginable fabric. You passed on the chainmail? I never would have thought about getting it lined. How very clever of you. I have a sweatshirt with a broken zipper and I’ve been wearing it for wears without bothering to get a new zipper put in. Now you’ve given me inspiration–at least for a moment. It wasn’t an easy pass, TB, but the way I sweat at this stage, it was for the best. I’d prefer to avoid rust stains. Cheers to using your resources. Have you considered wearing the coat inside out in order to display the wonderful find? Now that I’m working out regularly and drinking supertankers less: no. You are becoming a fitness animal! I live and have lived in countries where one can just have clothes modeled on existing items of clothing. We can just take an shirt to a tailor and say, “I want another just like this, only in THIS color.” Thus, I’m thrilled you had the jacket lined. I immediately thought when you explained, “Have it lined!” And you did! Good for you, my friend. It looks awesome. I don’t think I’ve missed any posts of yours recently, but I’m trying to let folks know that it’s going to be a busy month for Sara and me–traveling to the beach, teaching a week-long workshop, and having friends visit from the US. Fun, but YIKES! I can always make time for you, cause you don’t post EVERY DAY. God, I just can’t keep up with those folks. But if I miss something, please know I still love you and will be back! Kathy, I like that concept of having one’s favorite clothes remade, but I’ve been wearing variations of the same three styles in black, gray and blue for thirty years, so my friends and family assume that’s what I have been doing all along. You and Sara do have a very busy month ahead — plus your first wedding anniversary! Just the idea of posting every day makes me want to take a nap. Rest assured that that brand of masochism is never going to happen over here at Lame Adventures-land. I must admit, LA, that having a coat lined would not be the first thought to enter my mind… but thinking about it, all of my coats are lined anyway… I don’t think I have an unlined one… so there’s another reason why I’d never think it! Handy having a shop like that nearby that sells all those materials though, just in case. It was even handier, Tom, having a friend who knew exactly where I needed to go. I was completely clueless about that until I ran it by Coco. I like drab. I once bought a jacket that was warm, lined 🙂 and, I thought at the time, a gorgeous hot pink. I really stood out. Even when I wanted to be anonymous, shop assistants remembered me. I grew to hate that jacket. It was almost an acceptable pastel pink by the time I threw it out. Pink is a color that give me hives, Mary. Thanks for visiting and for taking the time to comment! 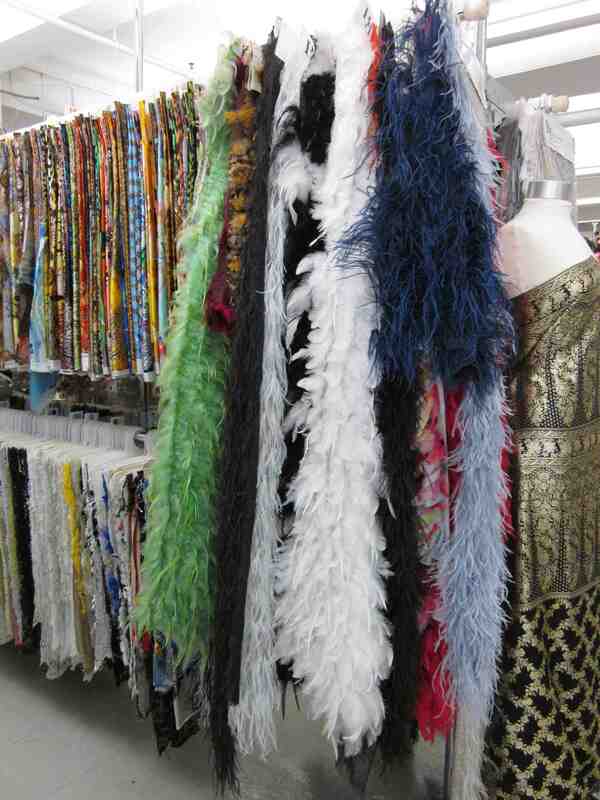 They do not appear to have pigeon feathers as an optional lining in their feathery selection! It does look that way, but if a customer wanted them, B&J’s probably would know where to find them — and I don’t just mean on every window sill in New York City. I love backhanded compliments. People are always saying, “You write pretty well . . . for an uneducated hillbilly.” What would I do with knowledge if I had it? Then I’d be a damn know-it-all hillbilly, and that would be even worse. Did it clean your pockets out to line the coat? I love the lining and the whole affair made for a wonderful tale. The lining only set me back 25 clams and a touch of embarrassment at the tailor’s. When I dropped the coat I announced that all the pockets were empty. He said, “No, you have something in this one.” I thought, “Really?” Then, I slipped my hand into that pocket and pulled out a tissue. Fortunately, unused. On another note, I remember commenting in a previous post, your ‘freshly pressed’ one, that you’ll get lots of spam followers after that. And your reply was how real my comment was or something like that. Well, I just did a reality check on my blog. Around this time last year, one of my post got ‘freshly pressed’. Before that post I had around 200 followers. Now one year later, the number is 4800. How real are they? Who knows. When B&J’s granted me free reign to shoot pictures to my heart’s content, Arti, I used my Canon instead of my iPhone. I probably shot a few hundred but none of my shots completely captured what a wonderland it is. They have so much to offer and the people that work there are lovely. In the past year my spambot followers increased significantly. They’re like the weeds that used to sprout on my dad’s lush lawn that drove him crazy. My core followers, aka intelligent life that engage, remains steady. I do think that image-heavy sites like yours and mine are a draw. I don’t watermark my images, which is probably a mistake, because I know there’s a feeding frenzy for photos. If you’re ever in NYC and want to grab a beer, I have a great tale to share about some shenanigans I encountered on the web. I was going to be really impressed if you also lined your closet. That would be pretty fabulous. Brilliant suggestion, Mike! I was wondering what I should do with what was left over. I should fly you to Dallas, you can assist with my purge not to purge. Then we can fly back together to find linings. Sounds perfect. I love your lined coat! That would be quite a Lame Adventure Val! I would wear my silver lined coat. Purging is a slog but I do feel liberated once I finish. Then, over the course of the next five years the accumulation of too much stuff recurs and the cycle starts over again. You even met the jacket! It is indeed a lovely lining, Guat. Now if only the weather would cooperate so I could wear that jacket more!